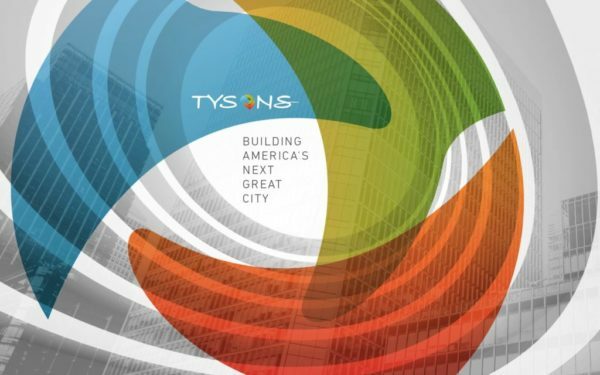 The Tysons Partnership is seeking students or recent graduates for an internship focused on urban development and communications engagement. Eligible applicants must be rising college seniors, recent graduates or graduate students with a knowledge of fields related to urban studies and communications. You must be a self-starter who will look for opportunities to help us develop, package and promote the Tysons narrative to a regional and national audience. Depending on your particular skills, background and interests, projects may include research and creation of an ‘information toolkit’ containing data that conveys the breadth and scope of Tysons development; creating content that tells the story of Tysons’s past, present and future; and development of eye-catching graphics/designs to populate our website, social media and other communications channels. Strong writing skills are required — you must submit writing samples and/or links to sites where your work has been published. The internship offers a stipend to pay for living expenses and transportation in the D.C. area, with the amount based on the level of education and experience. Work hours and start/stop dates are negotiable. The Tysons Partnership is the local association that engages with local government, landowners, employers and other stakeholders to pursue the objectives of the comprehensive plan for Tysons. 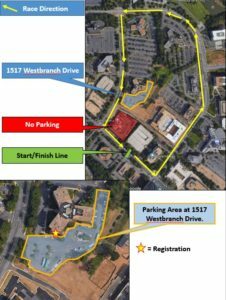 The deadline is nearing for the 30-minute Tour de Tysons bike race around Tysons this weekend. The race is scheduled for Saturday (March 16) and, unlike most races, is ranked by how far the cyclists can ride. Adult races range from 30 minutes to one hour, while the race for children is around 20 minutes. All of the men’s categories until the 1:45 p.m. time slot are currently filled, but there are still a few spaces at that time and open spaces for women and children throughout the day. Registration for the race is $35 for adults and $15 for children. The event is hosted by the Tysons Partnership and the National Capital Velo Club. Cyclists who are not registered with the Mid-Atlantic Bicycle Racing Association will be required to purchase a one-day license with cash at the race. The event, featuring 10 races from 8 a.m.-5 p.m., has drawn 300 competitors in previous years. 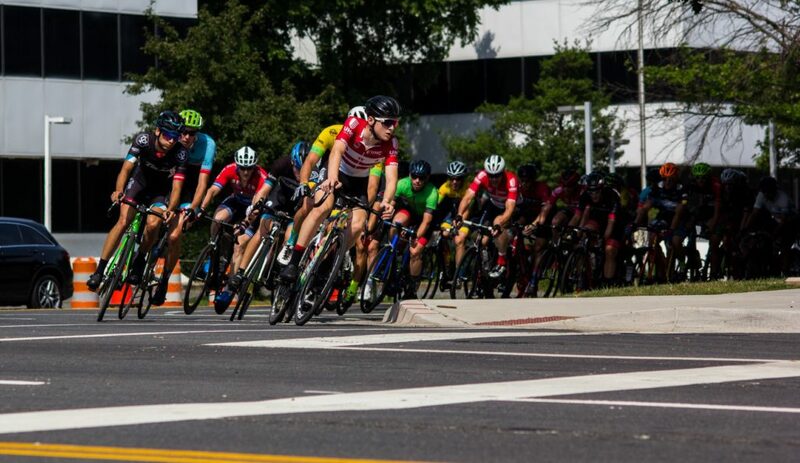 Tune up the bike and break out the spandex, the Tour de Tysons is returning for its fifth annual competition this March. On Feb. 20 at 12:15 a.m., registration is scheduled to open for the 2019 race around the Tysons area. The entry fee is $35 for men and women’s races and $15 for younger ages. Races vary from 30 minutes to one hour in length. 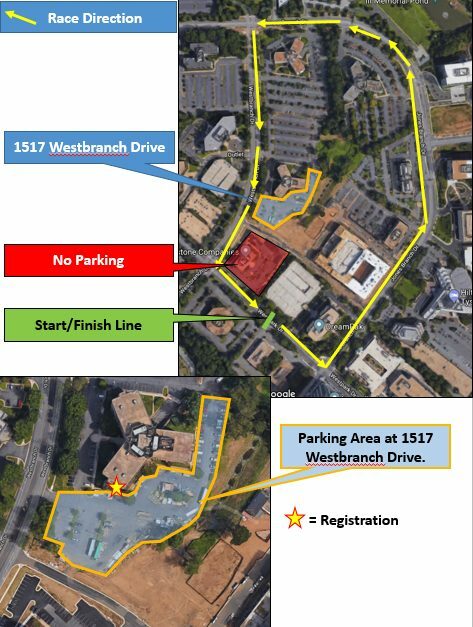 The race starts on Westpark Drive, then turns onto Jones Branch Drive and Westbranch Drive. (Updated 3:30) There’s lots of new development around Tysons, but one of the more unusual is a series of residential buildings constructed last night inside the Tysons Biergarten, made entirely from gingerbread. The Tysons Biergarten is normally a pretty adult-oriented place, one of the few hotspots of the local nightlife, but yesterday (Wednesday) evening the Biergarten toned down the “bier” part and hosted its 3rd annual toy drive for local youth shelter Second Story. The event included gingerbread house making with youth involved with Second Story and a visit by Santa. The event was the culmination of a month of toy collection at the Biergarten, where over fifty toys were collected. An earlier fundraiser for the organization raised $500. Second Story, formerly known as Alternative House, is a youth services and safe shelter near Tysons that was founded in 1972. The shelter offers a variety of programs, from caring for infants and young mothers to helping teenagers and young adults in distress, and offers a crisis shelter for teens for up to three weeks at a time. It also provides counseling for anyone in need across any of the shelter’s programsand offers longer-term support programs, like rent assistance and help with applications and training. Abigail Brougher, a communications specialist for Second Story, said the Tysons Biergarten event, along with toy drives hosted by the Tysons Partnership and Tysons Corner Center, mean the shelter will be able to make sure every child and youth involved with the program is able to get a Christmas present. 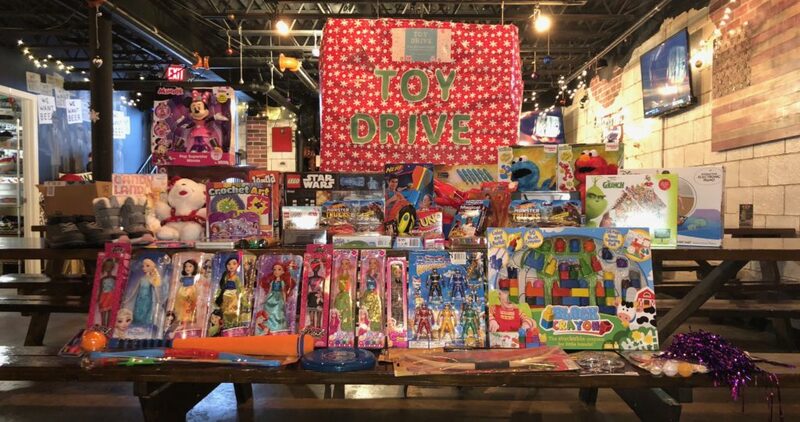 Brougher said there’s no total tally of toys and funds raised yet, and it won’t be counted until after the holiday season, but roughly speaking the shelter has received hundreds of toys. While it’s a little late in the year to still give toys, Brougher said there’s still plenty that Tysonians can do to support the shelter year-round. Tysons Corner Center is also still collecting toys until Monday, Dec. 24, at the Santa HQ outside the Nordstrom. For those looking to learn more about the shelter but can’t make it out for a tour, Brougher said Second Story also recently finished the first season of its podcast, which interviews people who went through the program. 3rd annual gingerbread house making with Second Story!! Name Debate: Tysons or Tysons Corner? Much like “The Facebook” became just “Facebook,” what was founded as Tysons Corner is now just Tysons — at least, according to the federal government. Compared to issues like traffic or a lack of affordable housing, it can seem like a small or pedantic difference, but Drew Sunderland, Director of Communications at the Tysons Partnership, said the effort to rebrand the rapidly urbanizing area between McLean and Vienna as “Tysons” — to “drop the Corner,” so to speak — is part of working towards building a cohesive identity. It’s an issue that’s even drawn heated feelings. There is at least one anonymous Twitter account waging a one-user-war on the “Corner” using the hashtag #dropthecorner. 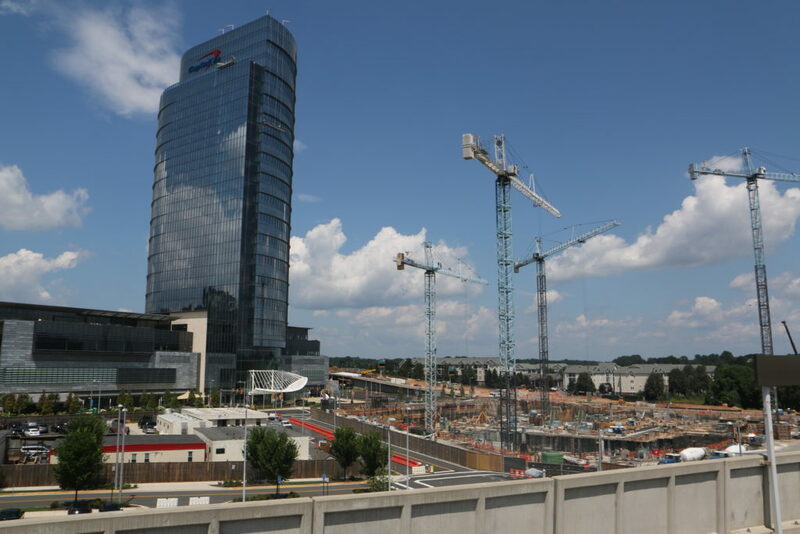 Virginia Case, Chair of the Board for the Tysons Chamber of Commerce, said the change from Tysons Corner to Tysons is part of the area shedding its image as a small suburban community. For advocates of the change, there’s been progress. In 2015, the U.S. Census Bureau, with some urging from the Tysons Partnership and Rep. Gerry Connolly (D), changed the designation of Tysons Corner to Tysons. Sunderland said the census, labeling Tysons a place identifiable as a settled concentration of population but not incorporated under state laws, is the most official recognition in existence. The change has had a ripple effect, altering the names on federal mapping agencies and, by extension, its designation on mapping services that use that data like Google Maps. New developments, like The Boro, almost exclusively refer to the area as Tysons. While many prominent voices in the Tysons area, like the Tysons Chamber of Commerce, are all on board with “Tysons,” at least one local group said they still believe there’s value in the “Tysons Corner” name. Though the group would only speak off the record, a representative said Tysons Corner still has brand recognition. There’s also the issue of Tysons sharing the name with other established brands. When looking up information on Tysons the news is often saturated with scandals involving Tysons chicken or former boxer Mike Tysons’ ongoing efforts to start a marijuana farm. Case pointed to Paris as a somewhat bold comparison to Tysons, noting that there is a Paris, New York and a Paris Hilton, but the Paris that claims the landmark status is the one in France. Case and Sunderland both noted that the name change can sometimes be an uphill battle. Case said most often the confusion comes from people who were from the area when it was still called Tysons Corner and are returning. But when they actually see how the area has changed, Case said most people she talks to understand that the area has outgrown the old name. 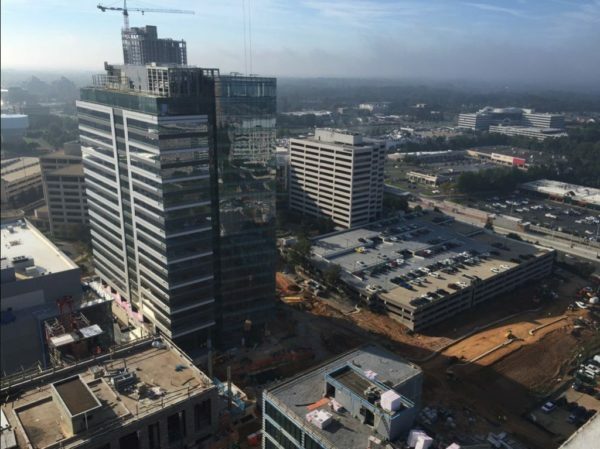 With the new Capital One headquarters as a central spine, a panel next week will examine how the Tysons East neighborhood will evolve over the next few years. The panel will be hosted by the Tysons Partnership next Thursday (Nov. 15) from 7:30-10 a.m. at 1600 Capital One Tower Drive. Tickets to the panel are $55 for Partnership members and $65 for non-members if ordered before Nov. 5, after which the price increases by $10. Representatives from companies like Capital One and public organizations like the Fairfax County Department of Planning and Zoning will discuss the latest projects underway in the area. Tysons East is the neighborhood of Tysons bordering the Beltway to the west and the Dulles Toll Road to the east. The completion of the Capital One Tower earlier this year has kick-started development in the area. Professor Stephen Fuller, Professor of Public Policy at George Mason University, said the still-growing Capital One complex is going to become an anchor for new development. There are projects in development on every side of the McLean Metro station at the heart of Tysons East. The Highland District is planned to be a residential and retail hub just southwest, while to the east Scotts Run North and South are a planned pair of mixed-use developments to include offices and a 200-room hotel. In addition to private development, a new Fairfax County Fire and Rescue station is scheduled to be built in Tysons East sometime over the next few years to relieve the overburdened Station 29. Despite some rain scheduled for this afternoon (Thursday), it’s full steam ahead for the outdoor Tysons Tailgate party. The 2018 Tysons Tailgate runs from 5-8 p.m in Valo Park (7950 Jones Branch Drive). The party includes live music from local band Chuggalug, beer and wine tents, snacks, lawn games, and raffle prizes. According to the event page, there will also be an arcade game tent for attendees to show off their Pac-Man or Space Invaders skills. 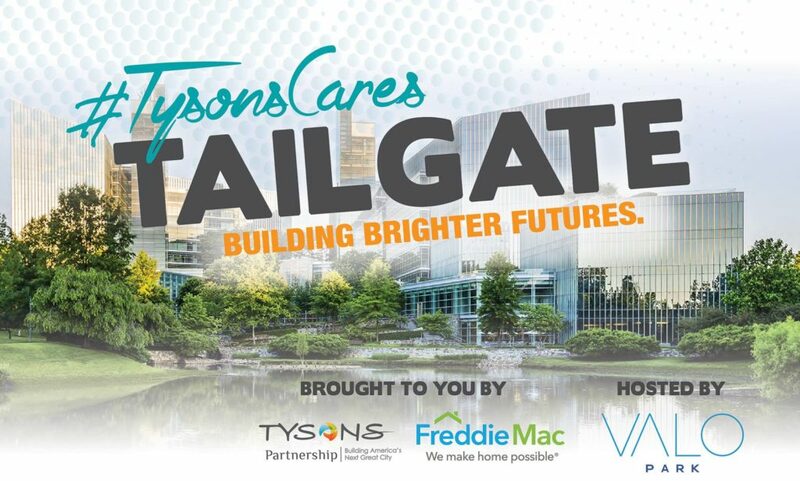 The Tysons Partnership said on Twitter that the event will be held under a large outdoor tent. Tickets are $30 if purchased online in advance, or $35 at the door. The proceeds of the event go to benefit Second Story, the only youth emergency shelter in Northern Virginia.